Glacial retreat and the flight of refugees, this week in photos. 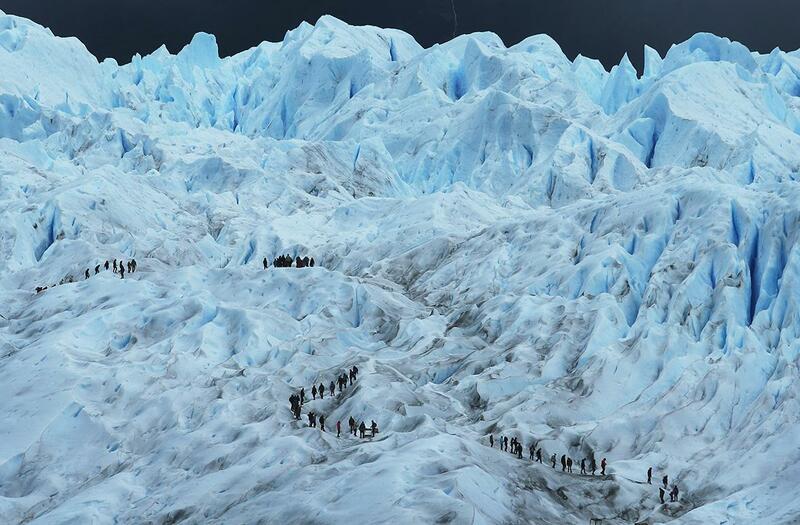 People hike on the Perito Moreno Glacier in Los Glaciares National Park, part of the Southern Patagonian Ice Field, on Nov. 30, 2015, in Santa Cruz province, Argentina. The Southern Patagonian Ice Field is the third largest ice field in the world. The majority of the almost 50 large glaciers in Los Glaciares National Park have been retreating during the past 50 years due to warming temperatures, according to the European Space Agency. 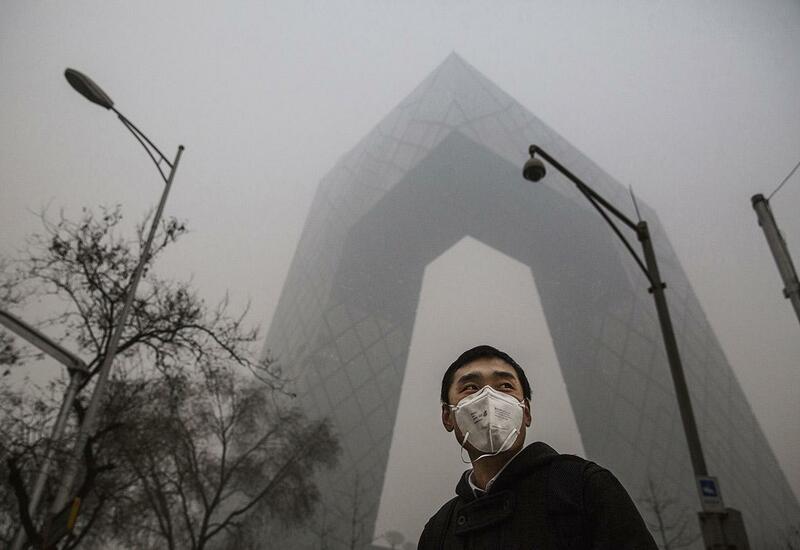 A Chinese man wears a protective face mask as he passes by the CCTV building on a day of heavy pollution on Nov. 30, 2015, in Beijing. 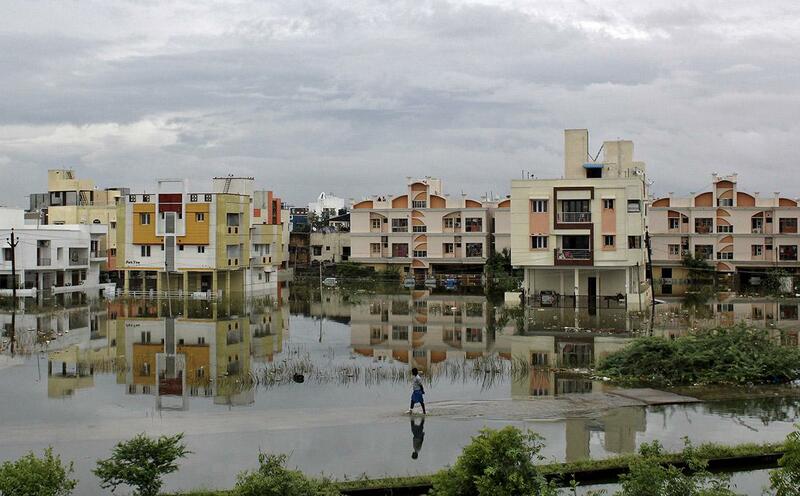 A man walks through a flooded residential area in Chennai, India, on Dec. 2, 2015. The heaviest rainfall in more than a century caused massive flooding across the Indian state of Tamil Nadu, driving thousands from their homes, shutting auto factories, and paralyzing the airport in the state capital of Chennai. 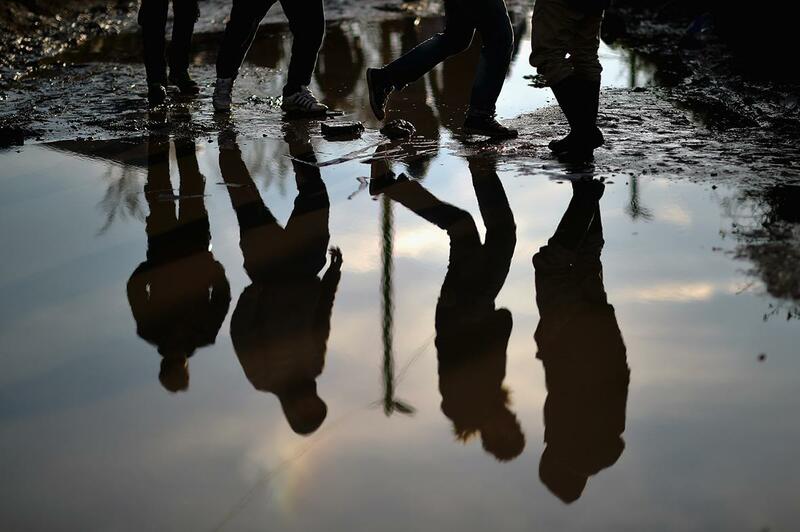 Migrants make their way across a flooded path in the camp known as the “New Jungle” on Dec. 3, 2015, in Calais, France. Thousands of migrants continue to live in the makeshift camp in the port town in northern France, where they try and board vehicles heading for ferries or through the tunnel in an attempt to reach Britain. 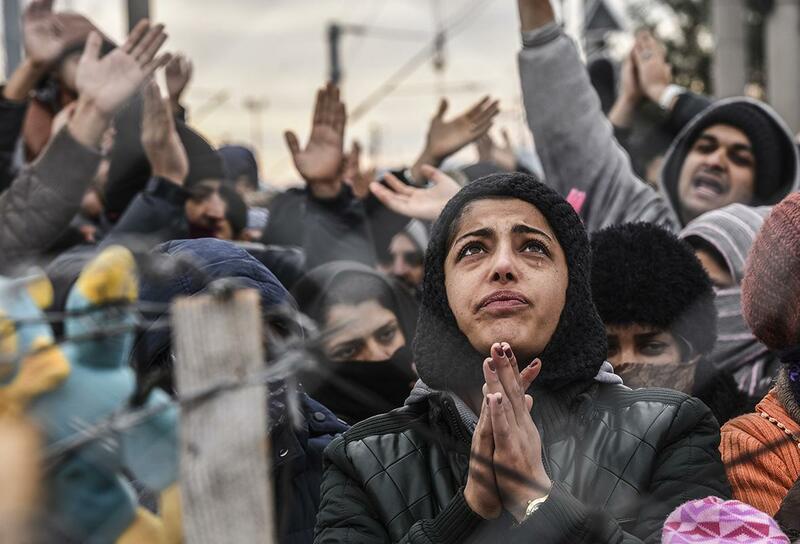 Migrants protest behind a fence against restrictions limiting passage at the Greek-Macedonian border, near Gevgelija, Macedonia, on Dec. 1, 2015. Since last week, Macedonia has restricted passage to northern Europe to only Syrians, Iraqis, and Afghans who are considered war refugees. All other nationalities are deemed economic migrants and told to turn back. Macedonia on Nov. 29 finished building a fence on its frontier with Greece, becoming the latest country in Europe to build a border barrier aimed at checking the flow of migrants. Worshippers take part in the “Procesion del Humo” (Procession of the Smoke) on Nov. 29, 2015, in Arnedillo, Spain. 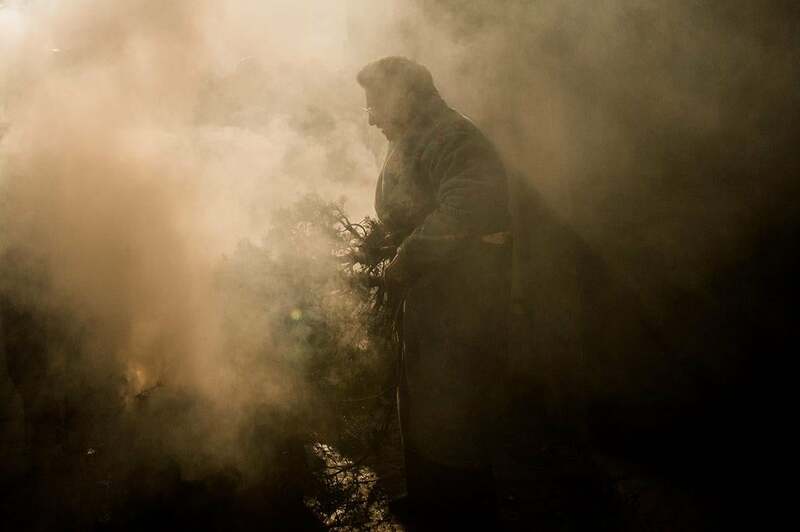 Villagers of Arnedillo light bonfires of pine and rosemary to honor San Andres every last Sunday of November. The roots of this procession are found in 1888, when a outbreak of smallpox devastated the village. The survirvors decided to light a black candle for each of their seven saints. The candle of San Andres was the last one to go out and villagers decided to name San Andres as Saint Patron of Arnedillo. 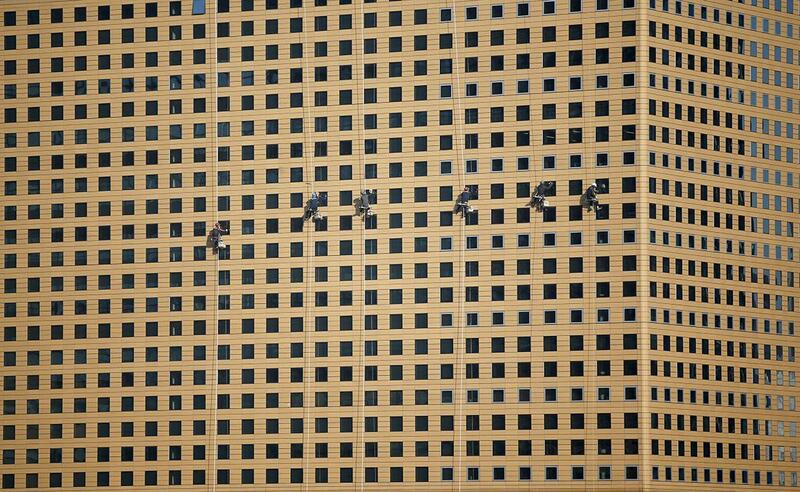 Workers clean windows of an office building in central Seoul, South Korea, on Dec. 1, 2015. 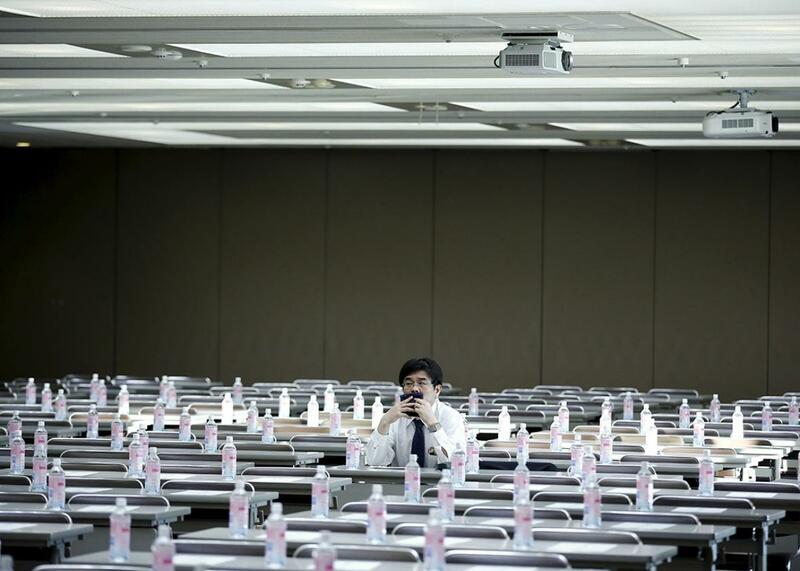 A journalist waits for the start of a news conference at Toshiba’s head office in Tokyo, on Nov. 27, 2015. 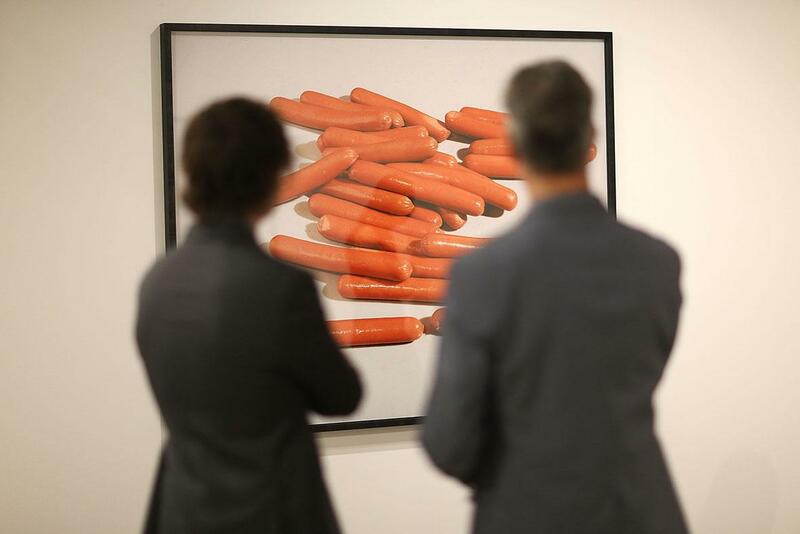 People look at a piece by artist Lucas Blalock on display during the opening day of Art Basel on Dec. 2, 2015, in Miami Beach, Florida. The weeklong art show brings buyers together with 267 of the world’s leading modern and contemporary art galleries to display premier paintings, drawings, sculptures, installations, prints, photography, film, video, and digital art by more than 4,000 artists. 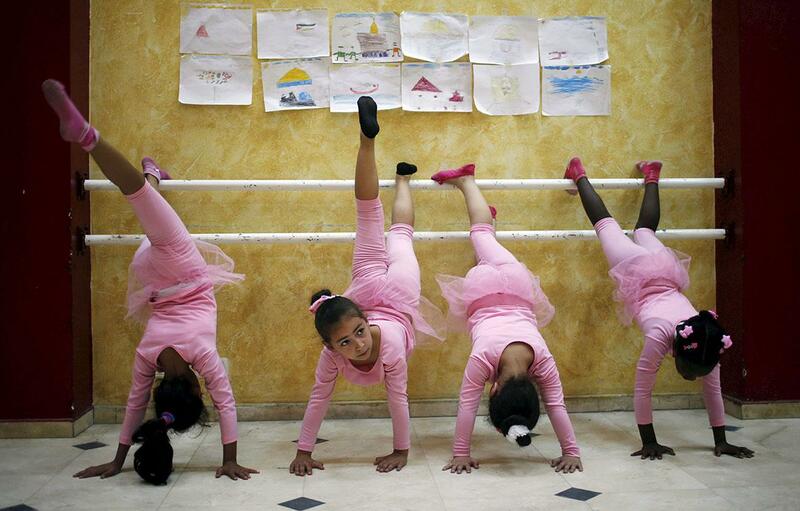 Palestinian girls take part in a ballet dancing course, run by the Al-Qattan Center for Children, in Gaza City on Nov. 25, 2015. 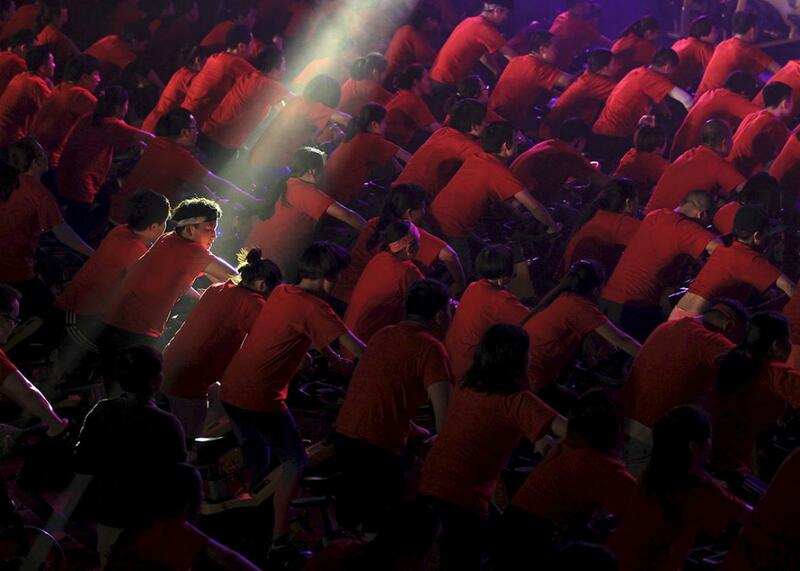 A participant is seen under a beam of light as hundreds of people ride indoor bicycles during a campaign to promote body-building exercises, at a gymnasium in Kunming, Yunnan province, China, on Dec. 1, 2015. 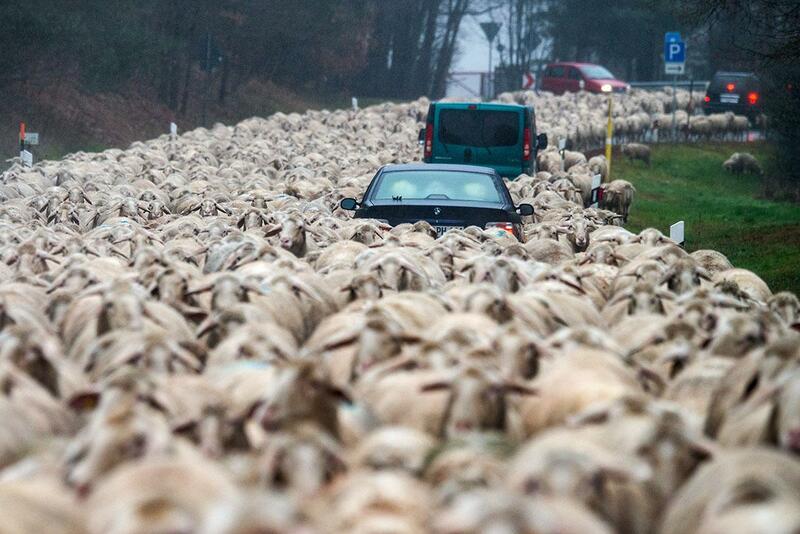 Cars sit stuck in a flock of sheep being driven across a street to another meadow near Bad Kötzting, southern Germany, on Dec. 1, 2015.